Our catalog has a couple of smart, modern spy thrillers by former top-level French intelligence officer and award-winning thriller writer Bernard Besson. His team of freelance operatives must unravel the consequences of global warming on the geopolitical landscape and discover the intricacy of high-frequency online trading. They struggle to maintain their independence where the loyalties of official agencies are not so clear and corruption and political machinations are everywhere. I’m fascinated with this world of espionage and recently took a moment to review my conversations with Bernard to come up with a list of some modern rules of espionage. Ninety-five percent of an intelligence officer’s assignments consist of gathering information and verifying it. Computers and software, along with general knowledge and conversational skills are more useful in this area than guns. In today’s world, technology allows everyone to intercept everyone else’s communications. Official intelligence circles are only part of the problem. The greatest threat comes from the uncontrolled private espionage. Intelligence professionals must do more than intercept communications and messages. They have to analyze and understand the conversations they hear and the images they see. Information is not a spy’s only target. Another real strategic objective is to understand the other’s intentions and way of thinking. In June 1944, Hitler had a large reserve of SS Panzers in Belgium. The Allies knew this, but was Hitler’s intention to send them to Normandy? If he had done it right away, he would have held off the Allies. Fortunately, he did not and lost the battle. The Allies did not need to chase cars through the streets of Berlin to find out this kind of information. A spy needs to be in the trust of well-informed people. Classic techniques are still useful, such as using knowledge of the other’s methods to your own advantage. French national security agents have been using it at least as far back as the Hundred Years’ war that pit France against England in the fourteenth and fifteenth century. Gadgets and technology can come in handy, but since the times of Julius Caesar, King Louis XIV and Alexander the Great, spies have worked with their minds. The human brain has no equal as far as software goes, because of its capacity for emotion and its power of conviction. Spies are trying to guess the opponent’s strategy, confidence, personality, and beliefs. A good intelligence service is one that asks the right questions. Information itself is not hard to come by. What is difficult is knowing what you actually are looking for. A good spy is discreet, polite, attentive and has real common sense. He or she has to listen to the silence, what is not said, and notice the hesitations. A good spy is armed with patience and good general knowledge. Today, keeping things top secret is less important than being quick to think and to gather information. Thanks, Bernard, for these insights. Ben Macintyre wrote a fantastic book about the real-world spycraft, which I highly recommend: Operation Mincemeat: How a Dead Man and a Bizarre Plan Fooled the Nazis and Assured an Allied Victory. In our world of rapid climate change, The Greenland Breach gives you an entirely different perspective on how we are all being impacted. The blood splattered on the ice sheets of Greenland belongs to shadow fighters, mercenaries fighting battles we don’t learn about on the evening news. What about technological disruption? In The Rare Earth Exchange, you get a heart-pounding story that could have been ripped from the headlines. What happens when a grain of sand throws off the well-oiled international finance machine? This month we have four Goodreads giveaways running. Don't miss out. Giveaway ends September 28, 2016. 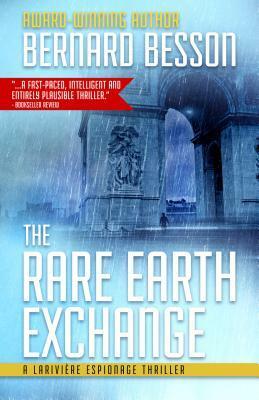 Bernard Besson's Rare Earth Exchange is now available in audiobook. If you buy the ebook, you can get the audiobook at a very low price and read and listen. We have two Goodread book giveaways going this month. Enter to win before August 30. How are you celebrating the storming of the Bastille? I’d say the French national holiday calls for something French. So, if you can’t actually go to France for the parade on the Champs-Elysée or attend the dances and festivities traditionally held at fire stations across the country, you can pick up a book from Le French Book and be transported to France. Here is our reading list for Bastille Day, with some deep discounts on these books set in France (mostly, at least), by French authors, translated for you. The Collector by Anne-Laure Thièblemont (http://amzn.to/29xyd2A), a captivating dive into the little-known world of Paris art specialists and counterfeiters. After a father she never knew died, Marion Spicer finds herself facing the merciless microcosm of Paris art auctions and galleries, with its sharks, schemes, fences, traps, scams and attacks—a world where people will kill for a love of beauty. The Paris Lawyer by Sylvie Granotier (http://amzn.to/2a4Is0e), psychological suspense in the French capital. An ambitious rookie lawyer in Paris catches a case that sparks a determined search for the truth in her own life. Paris, the French capital, the City of Light, and the perfect setting for crime, and an actual character in Frédérique Molay’s award-winning Paris Homicide series. The 7th Woman (http://amzn.to/29sRoj5) launches the series and gives the city a whole new dimension, with “ratcheting tension” and suspense. Terror stalks Paris. Will the team of elite crime fighters prevail? Jean-Pierre Alaux and Noël Balen’s Winemaker Detective series (http://amzn.to/29xAkUh) is a celebration of France combining enticing mysteries, mouthwatering accounts of food and wine along with authentic descriptions of French countryside. 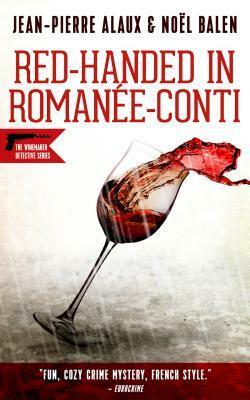 A vacation with quirky characters and winetasting, British-like mysteries with a French flair. The Winemaker Detective: An Omnibus (http://amzn.to/29xAYkr) is a fine introduction to this series, with three titles in one. Late Harvest Havoc (http://amzn.to/29AJKBu). Disaster strikes the vineyards in Alsace. Vintners are tense and old grudges surface. The Winemaker Detective's reputation is on the line as he must find the cause before the late harvest starts. Tainted Tokay (http://amzn.to/29Ktgtc). The Winemaker Detective encounters deceit and deception in Old World Europe. The Consortium thriller series (http://amzn.to/29DR9Be) by David Khara offers a roller-coaster ride that dips into the history of World War II, then races through a modern-day loop-to-loop of action and humor. What impact could the folly of World War II—death camps, medical manipulation and chemical warfare—still have today? Shadow Ritual (http://amzn.to/29xAvPx) by Eric Giacometti and Jacques Ravenne. The series has sold over 2 million copies worldwide. Douglas Preston calls it “Phenomenal.” Shadow Ritual has ritual murders, ancient enemies and a powerful secret, making an electrifying thriller about the rise of extremism. 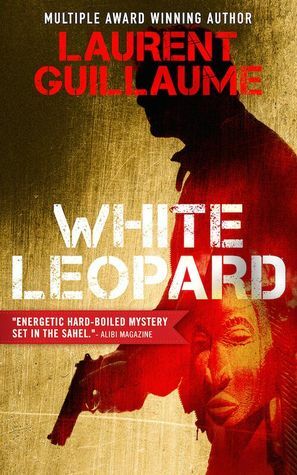 White Leopard by Laurent Guillaume (http://amzn.to/29xAIC0). In addition to a starred Publishers Weekly review, Craig Johnson (of Longmire fame) called this “the real deal.” White Leopard is African noir with a renegade PI. An ordinary case turns out to be not so ordinary. The drug mule gets her throat slit. The French lawyer is too beautiful and too well-informed. The cocaine is too plentiful. The reader travels down the roads of Mali in the protagonist’s desperate search for truth. We are happy to announce the release of The Rare Earth Exchange, a chilling story of real-world corruption and cyberterrorism. Award-winning author Bernard Besson comes from a long career in the French intelligence service. This new financial espionage thriller offers an unsettling perspective on finance and corruption in the world today. Besson has a sharp sense of what is at stake in today's world of espionage and global economic warfare. As a specialist in economic intelligence, spy novels are an entertaining way to tell truths about geopolitics and about operatives who risk their lives for their country. “It’s fiction, but the geostrategic stakes and the way the players think and act are all pulled from reality,” he explains. Besson's books have been described as "prescient" and “intelligent and literate” spy thrillers. The same team of operatives found in The Greenland Breach are back in this disturbing look at a post-Panama Papers world, spanning the world from Paris to Malaysia. In it, they get caught up in a web of corruption and terrorism in a struggle to control rare minerals key to today’s technology. 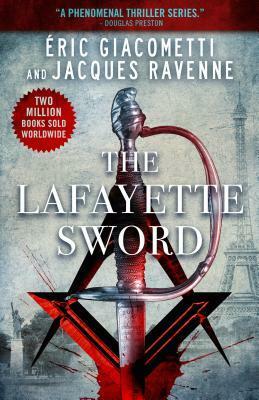 This title is for readers who love spies and action, smart escapist fiction, and political intrigue. It was shortlisted for the 2015 Quais du Polar series award. We're gearing up for the release of Bernard Besson's new financial espionage thriller The Rare Earth Exchange. Translator Sophie Weiner talked with writer Kay Kendall in this month's issue of Big Thrill. Check out her interview to find out her answers to these questions. How challenging was working with a text that is dense with geopolitical corruption, international high finance, and cyberwarfare? Was there anything that you learned in this novel that surprised or shocked you? Is there a difference in how American and French readers respond to mysteries and thrillers? Do different aspects of these books appeal to one culture more than another? As the translator of this thriller written for a French audience, you are responsible for bringing it successfully across the Atlantic to American readers. What are the challenges you faced in bridging the two cultures in your translation? If a plot element is changed, what is the process you use to find out if the author approves? Can you share with us one tip—or trick—you learned when translating and adapting this and other fast-paced thrillers from French to English? Something perhaps that your teachers at the Sorbonne never taught you? What was the first thriller you ever read, and what made it memorable? Sophie Weiner has translated a number of books for Le French Book. The latest is The Rare Earth Exchange by Bernard Besson, another action-packed spy thriller, this time in a world of high-frequency trading where manipulation and corruption reign. The main characters live in Montparnasse in Paris. Here Sophie recalls her memories of that neighborhood. Daguerre Village, a neighborhood located in the Parisian district of Montparnasse, is the home base for our crime-solving trio in both The Greenland Breach and the upcoming The Rare Earth Exchange (both by Bernard Besson). Montparnasse has special significance for me because much like the Bretons who settled there during the turn of the twentieth century (bringing their traditional crêpe-making talents along with them), it was via Montparnasse that I arrived in Paris for the very first time in the fall of 2006. I was spending my junior year abroad in Tours, a city whose TGV railway’s terminus ends at the Montparnasse train station because of its southwestern proximity to the capital. Other major lines feed into either one of Paris’ six remaining stations: Gare d'Austerlitz, Gare de Bercy, Gare de l'Est, Gare de Lyon, Gare du Nord, and Gare Saint-Lazare. As soon as I had a free weekend unfettered by schoolwork or program-organized excursions, I dashed to the Gare de Tours (designed by the same architect that would build Paris’ famous train station-turned-museum, the Musée d’Orsay) and took the easy hour-long train ride to Paris, where I was welcomed by the giant Lion of Belfort statue guarding the Place Denfert-Rochereau. Four years later, I was back in Paris, this time to earn my master’s degree. Once again, I found myself in the fourteenth arrondissement as my program had suggested we seek housing in the American residence at the Cité Universitaire. I jumped at the proposition since after reading A Moveable Feast I was eager to discover Hemmingway’s old stomping grounds and the residence was only an RER train stop away from Montparnasse. In the end, I often opted for the twenty-minute walk whenever venturing to that neighborhood as the regional express rail was not the most pleasant public transport experience—especially at rush hour. During these outings, I visited the graves of Simone de Beauvoir, Jean-Paul Sartre, Serge Gainsbourg, and Charles Baudelaire inside the Cimetière du Montparnasse, I went to cafés frequented by the expat novelist and his “Lost Generation” friends, I took in panoramic views of the entire city atop the Tour Montparnasse, I saw films at any one of the district’s many movie theaters followed by savory and sweet crêpe dinners on the Rue du Montparnasse. Not only did images such as these swim in my mind as I worked on the scenes in The Rare Earth Exchange set in Daguerre Village, but I learned of new spots to discover on my next trip across the Atlantic.